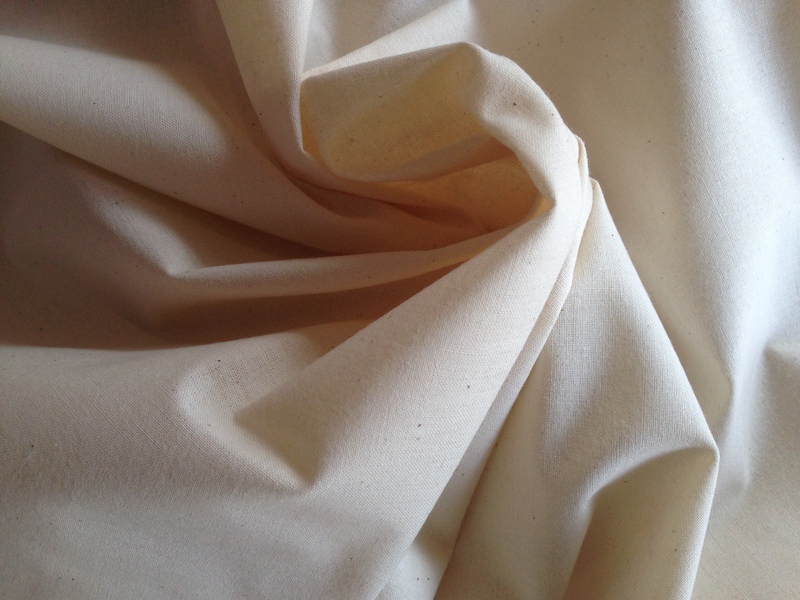 100% Cotton Calico is a basic, plain weave fabric made from unbleached yarn and often not fully processed: It will undoubtedly contain small specks of unseparated husk parts and this is part of its intended appearance and charm Please note that these flecks are not a fault! It is available from the-stitchery in a natural colour way only but in two widths. This fabric is less coarse and thicker than canvas or denim, but owing to its unfinished and undyed appearance, it is still relatively inexpensive. Traditionally used to create dressmaking toiles, it has a homespun feel that lends itself to many craft applications.